I would like to share with you a lip butter collection you should not let pass. I'm sure you've heard about a number of brands releasing lip butters (and us beauty geeks falling in love because who would not love a lip product that cares for your puckers and prettifies it too)! 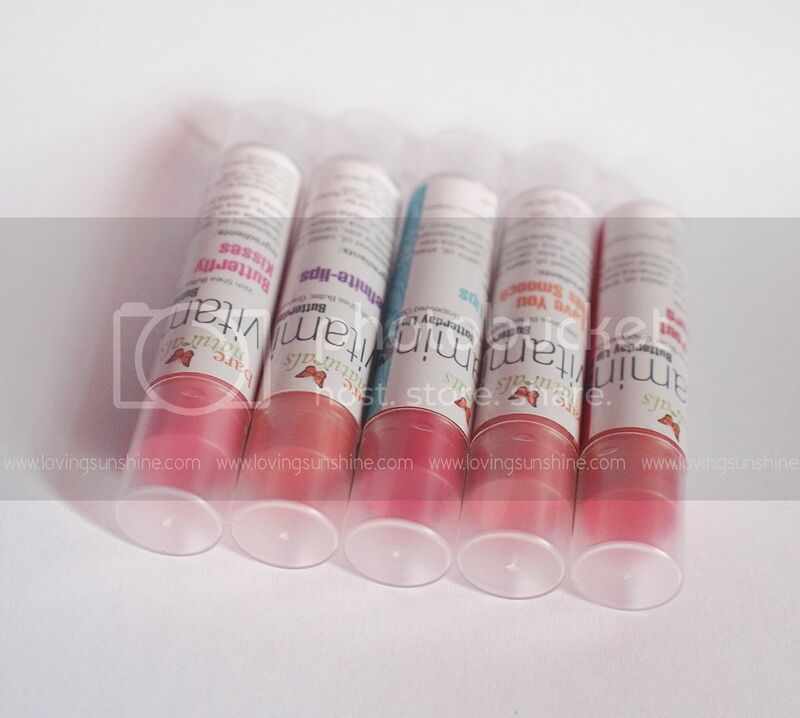 No more delaying, I'm talking about Bare Naturals Vitamin Stix Lip Butters. These lip butters are all about "feeding your lips with the good stuff!" I love that they're not your ordinary lip balms--but also not your regular lipsticks--yet they deliver efficient moisturizing and impeccable color. Who loves the clear plastic packaging? I think I'm going to be all O-C keeping these caps crystal clear. Here's my initial swatch of the products. I'm baffled myself why one color's a disaster! Of all colors, Sugar Lips! I really liked how pink it was on the bullet... so I decided, of course like tradition, to swatch on my lips too. I'm sure "on the lips" swatches would be most helpful! Hmm these look very nice! I perfer lip balms over lipsticks because I'm really bad at wearing makeup. Nivea makes a nice version of these, without color. Main ingredient being shea butter, which is super soft and comforting in cold weather.